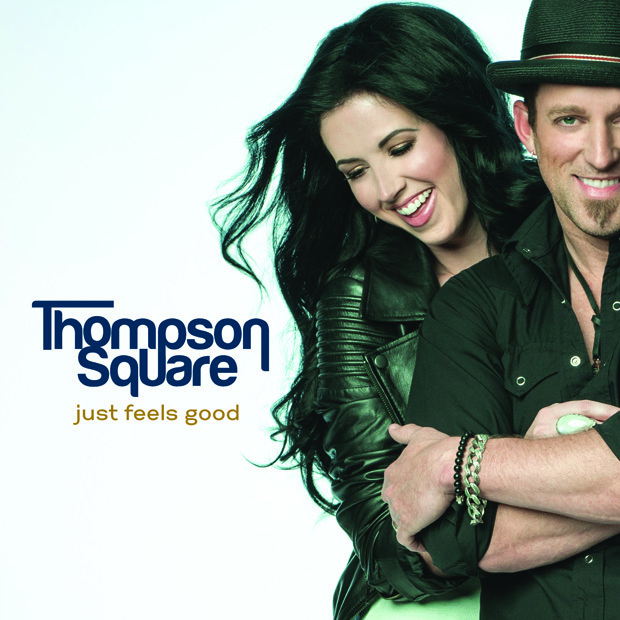 Since the release of their debut album and #1 breakout smash “Are You Gonna Kiss Me Or Not”, the husband and wife team of Thompson Square (Keifer and Shawna Thompson) have been setting the music world on fire. In addition to a run of sold out shows in tour support of Jason Aldean and Lady Antebellum, Thompson Square has earned over 25 major award nominations in the last two years including winning back to back ACM Vocal Duo or the Year awards and being recognized by the Grammys, American Music and CMA Awards. The duo is currently out on the road supporting their new album, “Just Feels Good”. I sat down with guitarist Keifer Thompson to discuss the ACM award, the new Thompson Square album and what he believes makes country music so special. You and Shawna [Thompson] recently won your second consecutive ACM Award for Vocal Duo of the Year. What was that experience like? It was just amazing and complete euphoria. Many of the artists that we’ve looked up to all of our lives were out in the crowd watching. The first year I think they were probably thinking, “Who the heck is this?” because they didn’t know who we were. This year, it seems like we’ve become more solidified in our country music family. It was cool; especially now that everyone knows who we are and that we’re not a ‘fly by night’ thing. Read the rest of my Guitar World Interview with Keifer Thompson by Clicking Here!